OETA airs all three seasons of Masterpiece Mystery's Sherlock beginning Tuesday, July 19 at 7 p.m. on OETA's OKLA channel (x.2). OKLA is available statewide over-the-air and to Cox Communications subscribers. Viewers who access OETA through other satellite or cable providers should contact those companies to find out if they carry OETA OKLA. Blowing away the fog of the Victorian era, the world’s most famous detective enters the 21st century in a thrilling contemporary version based on Sir Arthur Conan Doyle’s Sherlock Holmes. 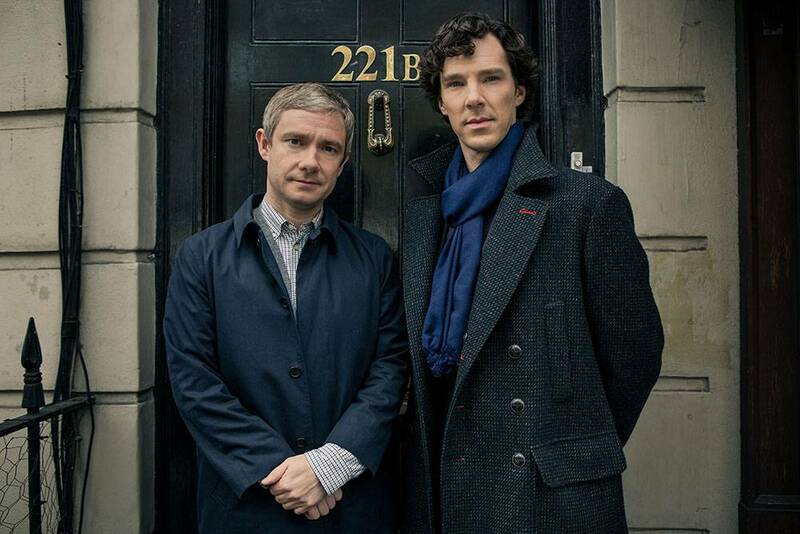 The show stars Benedict Cumberbatch (The Imitation Game) in the title role and Martin Freeman (The Hobbit, Hitchhikers’ Guide to the Galaxy) as Dr. John Watson. Created by the celebrated story-telling team of Steven Moffat (Doctor Who, Coupling) and Mark Gatiss (Doctor Who, The League of Gentlemen), a chance encounter brings John, a retired army doctor wounded in Afghanistan, into the strange and thrilling world of Sherlock Holmes, whose cases he begins to write up—as online blogs. A Study in Pink, Tuesday, July 19, 7 p.m. The Blind Baker, Tuesday, July 19, 8:30 p.m. The Great Game, Wednesday, July 20, 7 p.m.
A Scandal in Belgravia, Wednesday, July 20, 8:30 p.m. The Hounds of Bakersfield, Thursday, July 21, 7 p.m. The Reichenbach Fall, Thursday, July 21, 8:30 p.m. The Empty Hearse, Friday, July 22, 7 p.m. The Sign of Three, Friday, July 22, 8:30 p.m.
His Last Vow, Saturday, July 23, 8 p.m.
OETA will broadcast PBS' coverage of the 2016 Republican National Convention on its OETA-HD channel (x.1) Monday through Thursday, July 18-21. Replays of the nightly convention coverage air starting at 7 a.m. the following day on OETA OKLA, Tuesday through Friday, July 19-22.